St. Patrick’s Day is right around the corner! 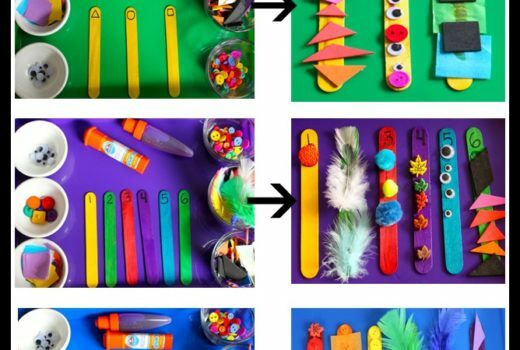 Ready to get crafty with your tot? 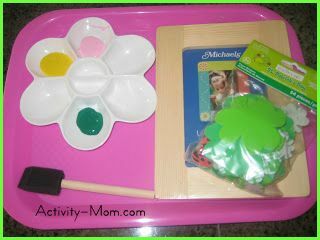 Here are some St. Patrick’s Day Crafts that your child will love! 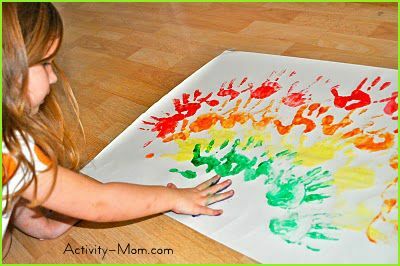 I laid out some washable paints and M stamped her hand (over and over and over again!) to make a rainbow. Then we worked together to cut out some pots of gold! This was a colorful addition to her bedroom! 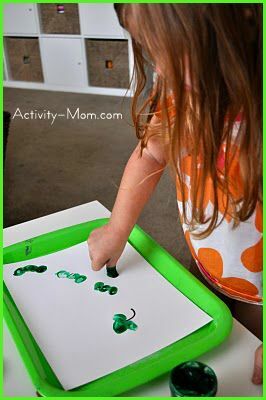 Grab a pot of green fingerpaint and teach your tot how to stamp shamrocks with her thumb! Some of ours started looking a little like caterpillars, but that’s fun, too! 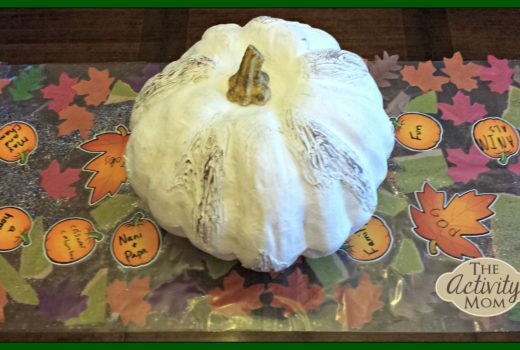 Making Learning Fun has some awesome printables for the holiday! We love to use our dot stampers, and they have tons of FREE printables to go with them. M loves to give gifts… on all holidays. I picked up these unfinished wood frames at the craft store for a dollar, and paired it with some paint and foam shamrocks (Dollar Tree!). 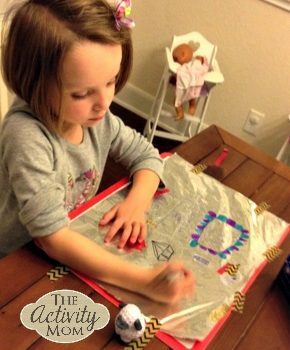 She had so much fun painting the frame and then wrapping it up for her grandparents. I made a similar rainbow in a Kindergarten class and each of the students contributed. It looked so colorful in their classroom on the wall. 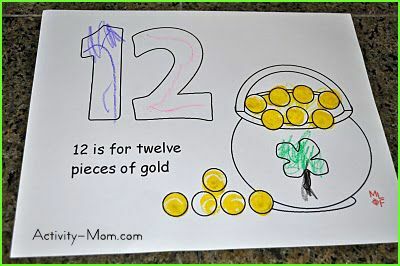 Cute idea to add the pots of gold for St. Patrick’s Day. 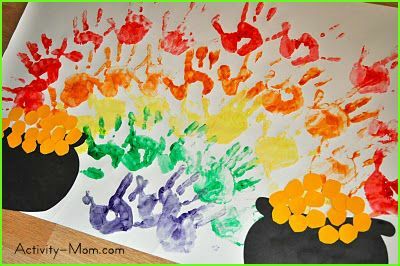 Rainbows, Paint, and Tiny Handprints = LOVE! You have SO MANY adorable St. Patty projects here too — keep them coming. I really LOVE the felt shamrock game and the story starters – so clever.Thank you so much for sharing on my Linky Party today!